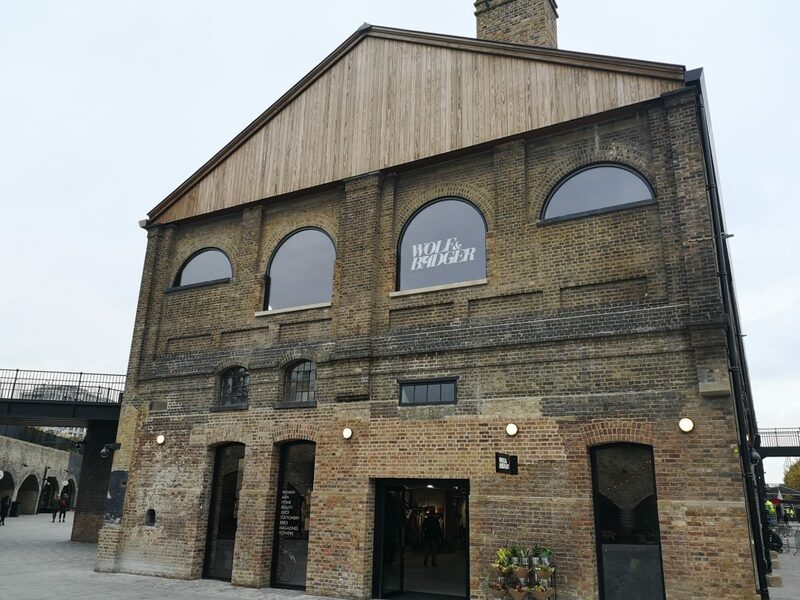 Coal Drops Yard has really put King’s Cross on London’s culinary map. 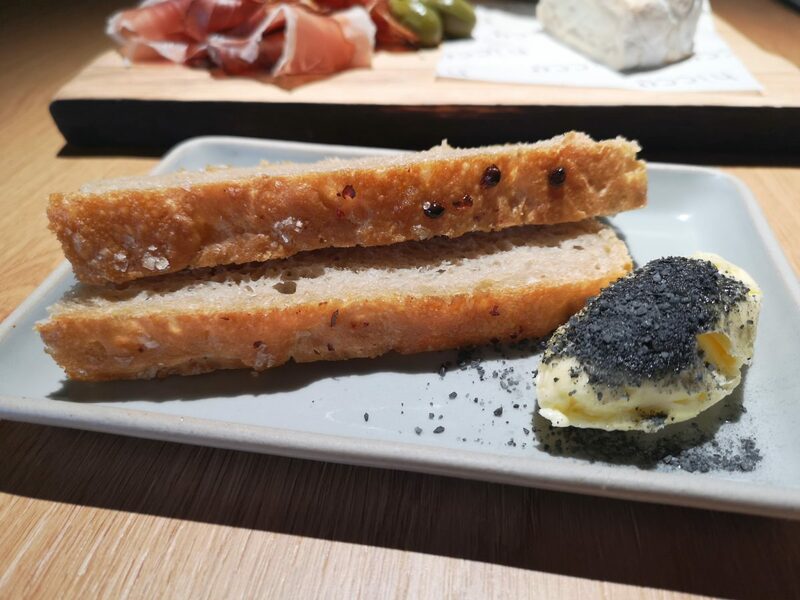 Whether it’s chocolates from Le Chocolat Alain Ducasse, croquetas from Barrafina, tacos at Plaza Pastor or a Vermouth or three at Anthony Demetre’s Vermuteria, go north and you’ll be well fed and watered. Inside CDY’s trendiest shop Wolf & Badger you’ll find Hicce, taking up the entire third floor. It’s from business partners Pip and Gordy. Pip used to work for Angela Hartnett, who is an investor. It’s a gorgeous space, all lofty and flooded with natural light. 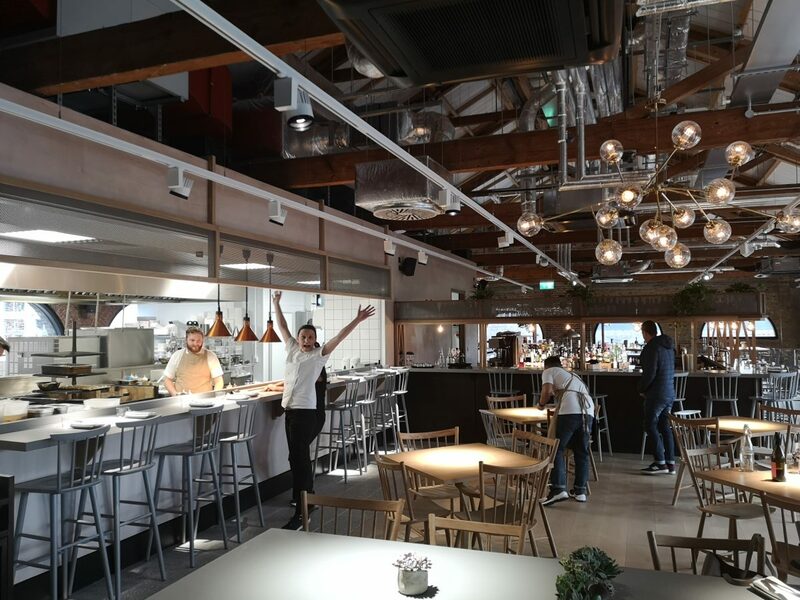 Concrete floors and Nordic inspired wooden tables and chairs sit alongside an open kitchen to create a serene atmosphere. I like the elegance. 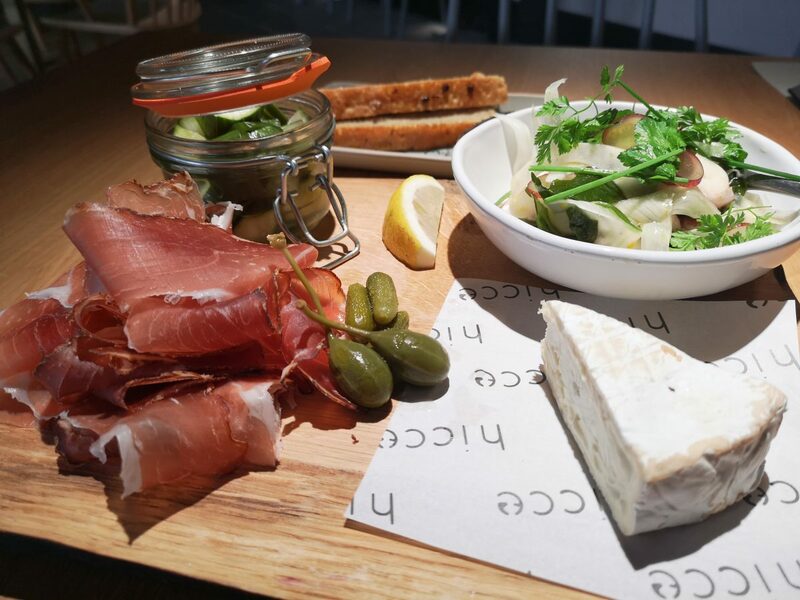 From the concise menu we start with a load of lovely bits to nibble on. Sharphaam Cremet (£6) is a goats cheese mixed with cows cream which results in a gloriously creamy, tangy cheese. 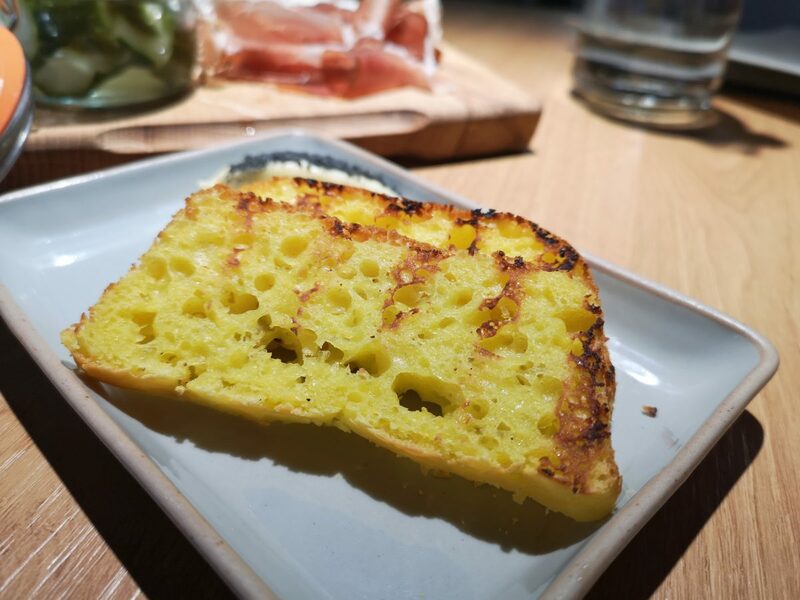 That with a slice of peppery speck (£4) is the perfect pairing. Throw in some cucumber pickles (£3.50) and it’s a party in your mouth. Two breads; beer and gluten free (£2 each) are made in house and are bloody delicious. A small plate of cold octopus with seafood and fennel (£7) is a mouthful of holiday; somewhere hot with gorgeous views. 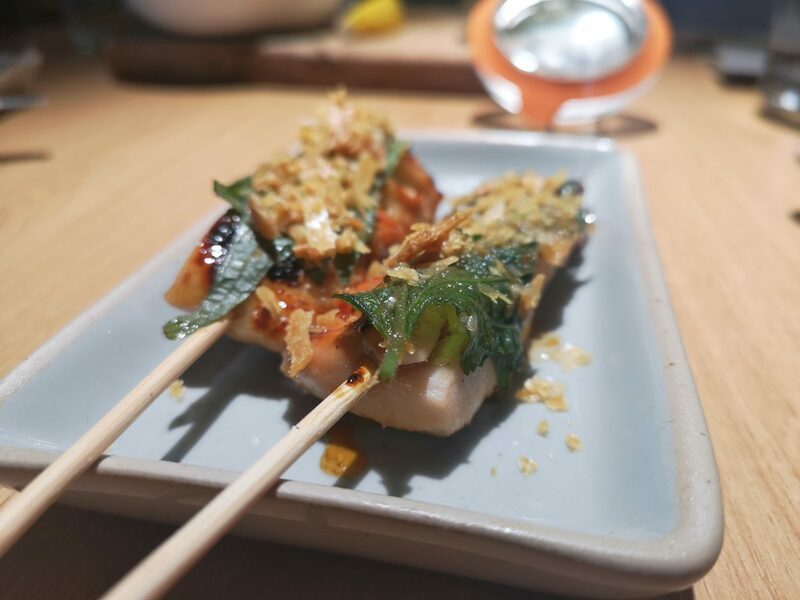 The larger dishes, marked #hiccehotsticks on the menu, are basically yakitori. Chicken thigh with spicy shiso (£10) is perfectly tender while the sweet/salty glaze is addictive. 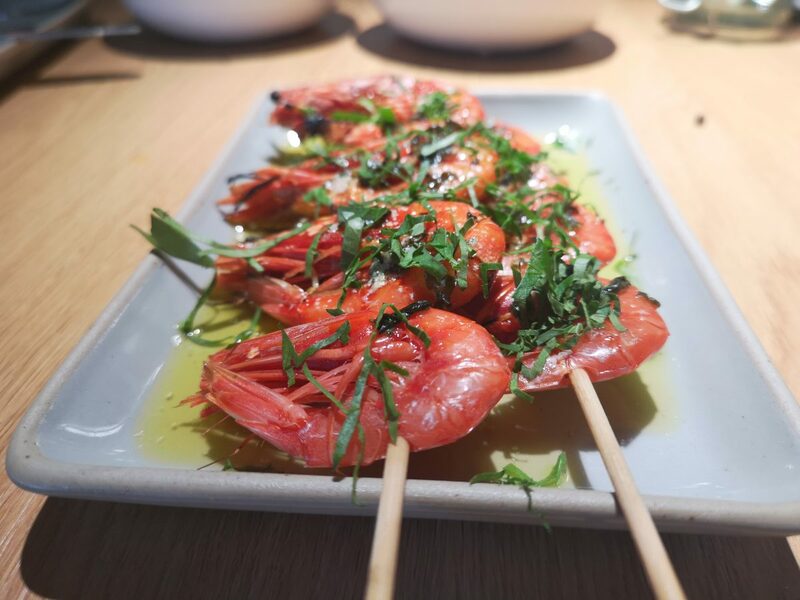 Wild red prawns (£13) are of such fine quality, and cooked so crisp, I eat the lot; shell, head and tails. The flavour is exquisite. 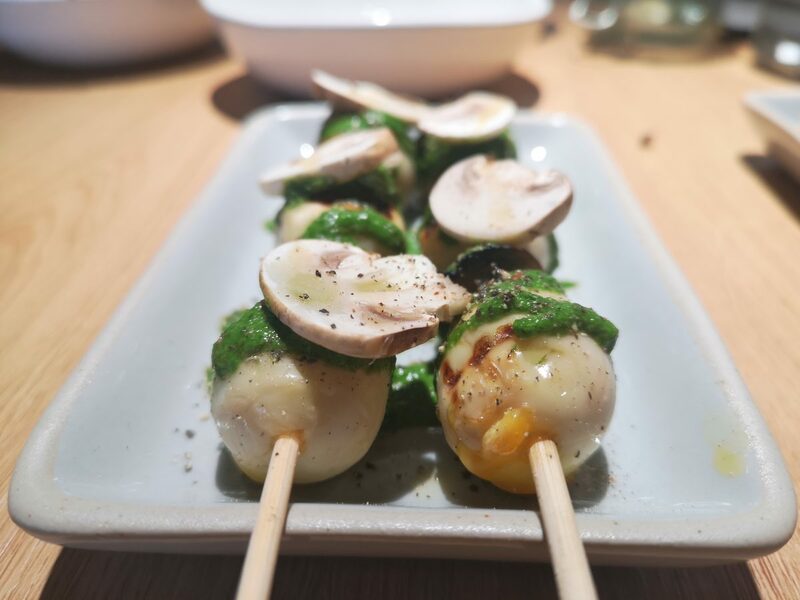 Skewered quail eggs (£7) is an interesting one. A fair bit of the yolk has escaped through the holes leaving the sole flavour being that of the watercress purée. It’s a bit too herby for me. 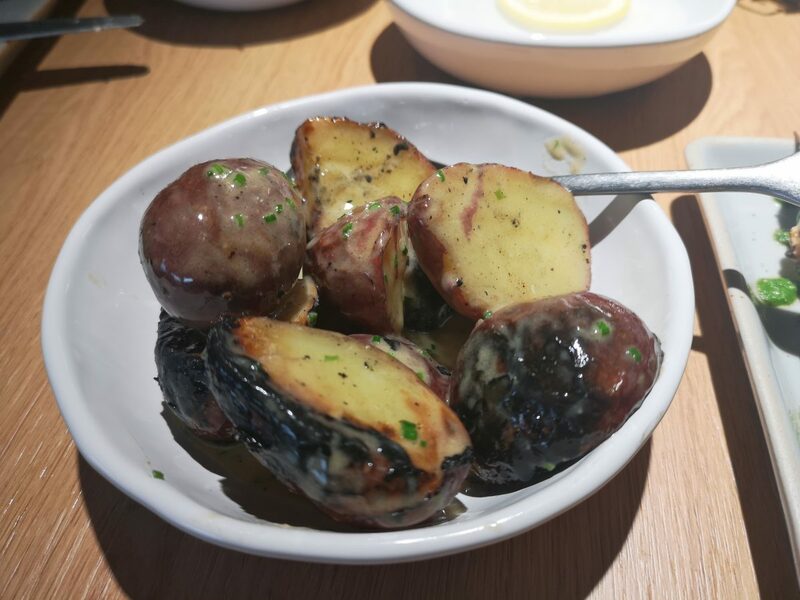 Best of all is a side of miso potatoes (£4) which are buttery, sweet and salty in equal measures. Desserts are cracking. 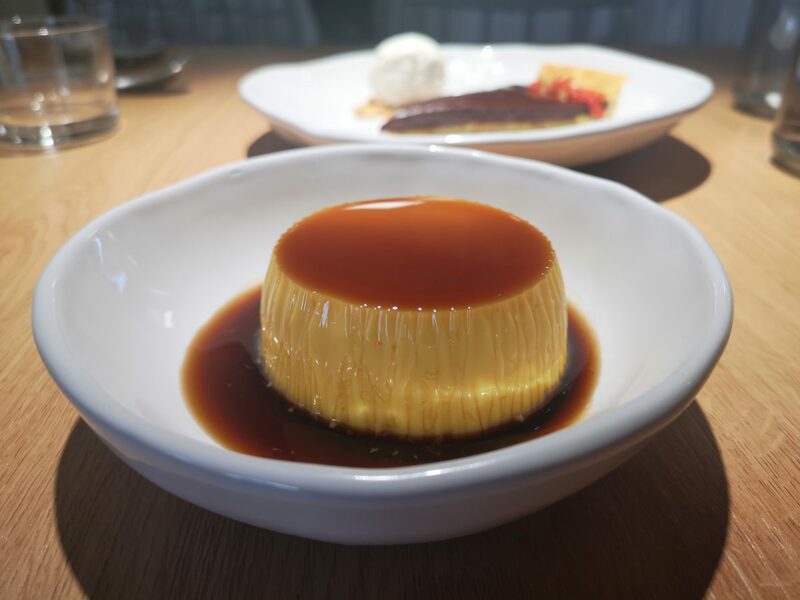 Muscavado creme caramel (£6) blends bitter, smokey burnt notes with pure-sugar-hit perfectly. 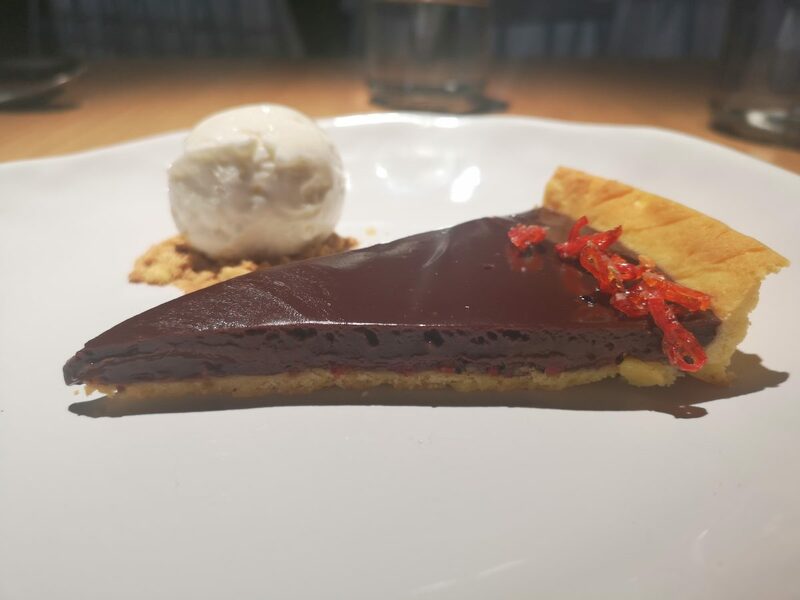 Pecan, chilli and chocolate tart (£6) is clearly the creation of someone who loves to eat puds. The underlying chilli heat matched with the sweet chocolate is just brilliant. And that’s some impressively thin pastry. What’s fun about Hicce is the menu bounces all over the globe without taking itself too seriously. It means you can have a little bit of what you fancy. It’s all about flavour and simplicity. Very nice indeed I say.